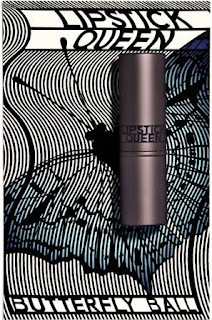 Beauty Must-Haves: Lipstick Queen Butterfly Ball and Chinatown Lip Pencil | Fashion. Style. Beauty. | Life is short. Live well. My adoration for Poppy King and her amazing Lipstick Queen line knows no bounds and I’ve got two new, fabulous products that you need to know about for your holiday beauty routine. Butterfly Ball ($20) is one of my new favorite makeup obsessions. This gorgeous iridescent lipstick gives a lightweight “shimmer tint” that looks amazing alone or layered over other lip colors. It’s inspired by the multi-faceted hues on a butterfly’s wings as well as Mohammed Ali’s famous quote that he could “Float like a butterfly, sting like a bee.” Each of the five hues contain Vitamins C, E, A and Aloe Vera to condition your lips so it feels amazing gliding onto your lips, plus the iridescent hue makes your teeth look brighter. This is a must-have for winter beauty and you need it now. My other new favorite lip obsession from Poppy’s addictive lip confections are the Chinatown Glossy Pencils ($20). Another super-moisturizing set of lip glosses that come in a solid pencil so you can “draw” them on, they make applying lip color a snap and feel amazing gliding onto your lips. I’m currently obsessed with my “Mystery” pencil, which is a sheer vibrant purple that’s more rocker glam than goth. I give major attitude when wearing it just to give it justice. 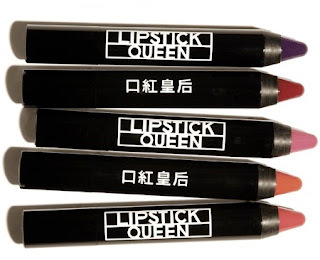 Great for your makeup bag (or as a stocking stuffer for your favorite beauty addict), get thee to Lipstick Queen and do some shopping!